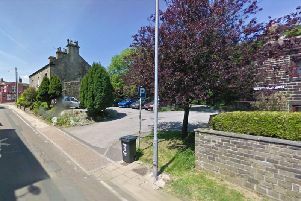 A road going through the heart of Rastrick and Brighouse is one of most dangerous in the country, a road safety organisation has revealed. According to a study by the Road Safety Foundation, the A643 from Brighouse to Morley is the most persistent high risk road in the Yorkshire and Humber Region and tenth in the whole of Britain. The 12km stretch saw a total of 12 fatal and serious crashes from 2011 to 2013. Incidents involving pedestrians and cyclists made up a third of crash types and a quarter of the crashes happened at junctions of the A643. Councillor Scott Benton (Con, Brighouse) said: “It is very disappointing to see that there appears to be an increase in the total number of road accidents over the last year or so compared to previous annual figures. “The Council has generally reduced the amount of funding available for road safety orientated projects over the last few years and so this is potentially a worrying trend. “What this report does highlight is that a large amount of the accidents that occur take place on a small number of main routes. “This has generally been the case for a long time and so surely it is common sense to target road safety funding on these major routes where accidents are typically occur. Figures released by the Brighouse Road Safety Committee have also showed an 80 per cent rise in accidents involving single cars, collisions with other vehicles, cyclists and pedestrians across BrighouseIn 2013 There was a total of 21 accidents which increased to 38 last year. Those involved in the accidents suffering slight injuries increased by 60 per cent and the number of serious injuires rising from five to seven and one fatality. Caroline Moore, author of the Road Safety Foundation Report said reducing harm on the roads is both a moral and an economic imperative for the new Highways England. “We know that, across the British EuroRAP network of motorways and A roads outside the urban core, single carriageway A roads are eight times the risk of motorways,” she said. Lord Whitty, Chairman of the Road Safety Foundation added: “Much of the genuine progress in reducing casualties this last decade has come from safer vehicles. “On many ‘A’ roads, the margin for human error is often small. The largest single cause of death is from running off the road where there is often poor roadside protection, while junctions remain the largest source of serious injury where vehicle side impact protection is at its most limited.